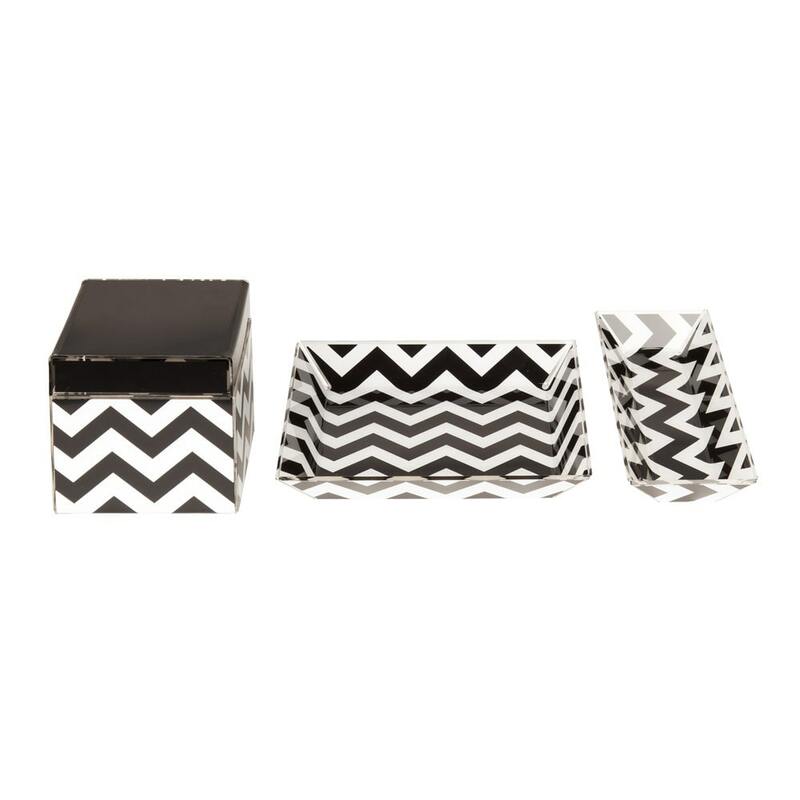 Re-organize your desk with this luxe acrylic office desk set. 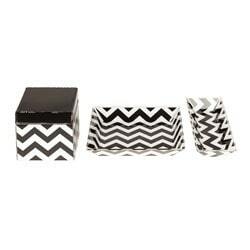 Included in this set are a pencil holder tray that is 9 inches wide by 3 inches deep, a 7 inch square tray, and a 4 inch square box with a lid. The square tray and box have gel pads on the bottom to protect your desk surface. This organizer set will keep your pens, pencils, post it notes, lip balm, and other office accoutrements arranged nicely and in style. This decorative organizer set can also be used in a bathroom or on your vanity to store your make up, cotton swabs, or cotton balls neatly and beautifully.